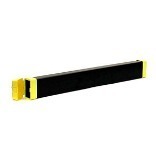 Length Any1 - 3 ft.Larger than 3 ft.Less than 12 in. 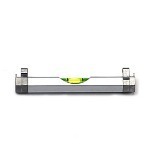 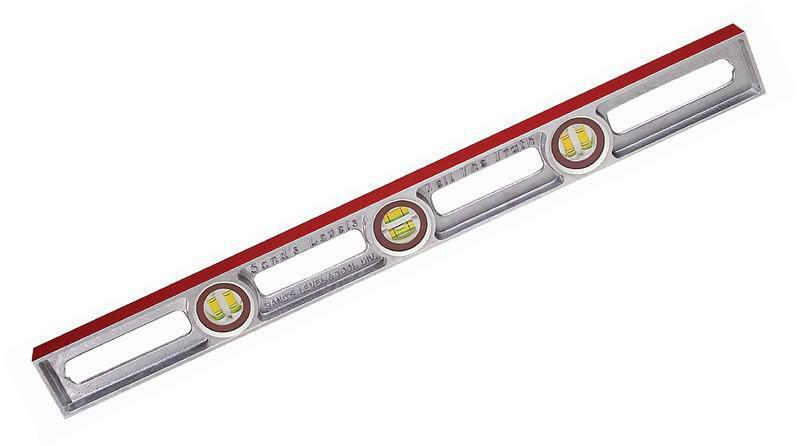 SANDS CAST ALUMINUM LEVEL Durable cast aluminum construction Precision milled frame for accurate work surface Solid set Cat's Eye Yellow double bent vials - for accuracy with protective lens Will not warp or rust Guaranteed accurate to .0004" per inch Contractor red edge SL4848 48 IN. 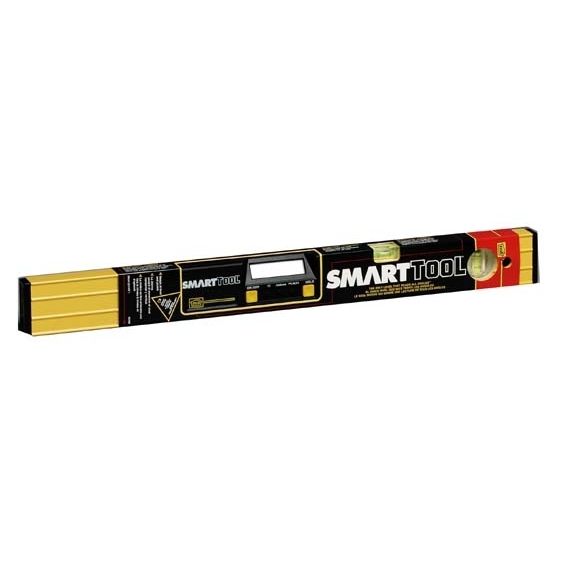 PRO CAST ALUM LEVEL SIZE:48"
SMARTTOOL ALUMINM DIGITAL LEVEL Digitally displays degrees & percent slope Displays pitch to 1/10 degree accuracy Horizontal and plumb spirit bubble vials Extremely durable Keeps its accuracy for years Push button calibration Audio sound at level & plumb Includes standard 9 volt battery 92288 60CM RAIL, SENSOR MODULE SIZE:24"
SANDS CAST ALUMINUM LEVEL Durable cast aluminum construction Precision milled frame for accurate work surface Solid set Cat's Eye Yellow double bent vials - for accuracy with protective lens Will not warp or rust Guaranteed accurate to .0004" per inch Contractor red edge SL2424 24 IN. 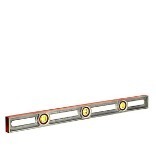 CAST ALUMINUM LEVEL SIZE:24"
SANDS CAST ALUMINUM LEVEL Durable cast aluminum construction Precision milled frame for accurate work surface Solid set Cat's Eye Yellow double bent vials - for accuracy with protective lens Will not warp or rust Guaranteed accurate to .0004" per inch Contractor red edge SL2828 SANDS CAST ALUM LEVEL SIZE:28"
WOOD MASON'S LEVEL Mahogany body: 2-1/2 x 1-1/8" Brass bound Hand holds 2 double plumbs, 1 double level SL12AB48 SANDS 48 IN. 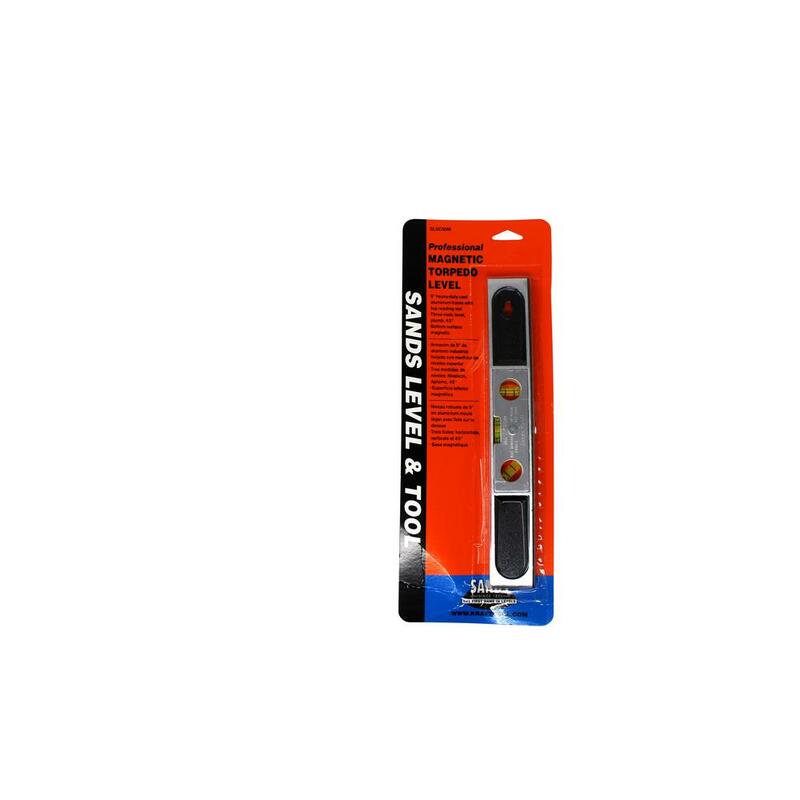 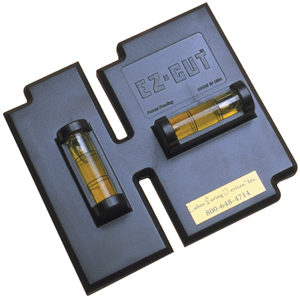 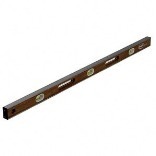 WOOD LEVEL SIZE:48"
LEVEL CASE Black hi-impact styrene Easy to open hinged cap SLPLC48 48 IN. 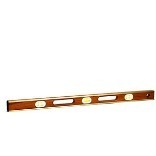 SANDS LEVEL CASE SIZE:48"
WOOD MASON'S LEVEL Mahogany body: 2-1/2 x 1-1/8" Brass bound Hand holds 2 double plumbs, 1 double level SL12AB24 SANDS 24 IN. 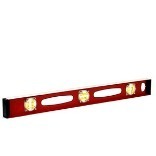 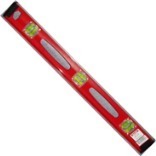 WOOD LEVEL SIZE:24"
LINE LEVEL Hex aluminum tube Flat bottom Carded SLSC55 3 IN. 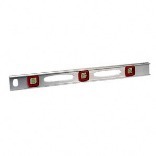 LINE & SURFACE LEVEL SIZE:3"
I-BEAM MASON'S LEVEL Aluminum I-Beam extrusion Mechanically filled with pieces of mahogany Held together with epoxy Cushioned ends absorb shock Flush sides prevent mortar build-up Full width aluminum surface SLMA48 48 IN. 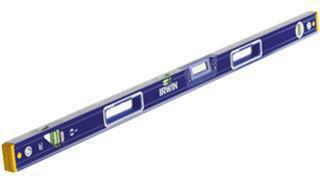 I-BEAM/MASON LEVEL SIZE:48"
ALUMINUM LINE LEVEL Lightweight aluminum construction Special hooks hold line for easy positioning Bottom is flat for surface leveling One 360 degree vial 42-287 LINE LEVEL SIZE:3-3/32"
PROFESSIONAL I-BEAM ALUMINUM LEVEL Heavy duty aluminum construction 3 vials-center vial is top reading Pipe groove for use on rounded surfaces Shock absorbing endcaps 42-480 48 IN. 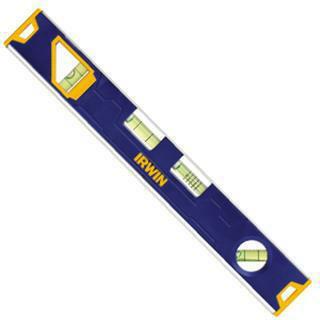 TOP READ LEVEL SIZE:48"
Get the level best: True Blue� vials provide spot-on construction-grade accuracy, superior readability as well as never-fade, -fog or -leak durability. 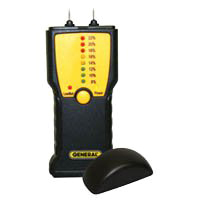 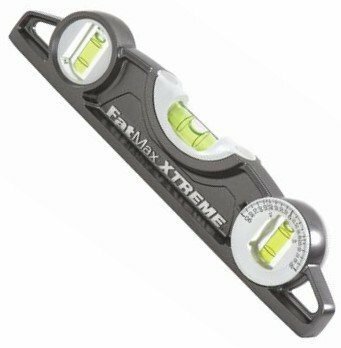 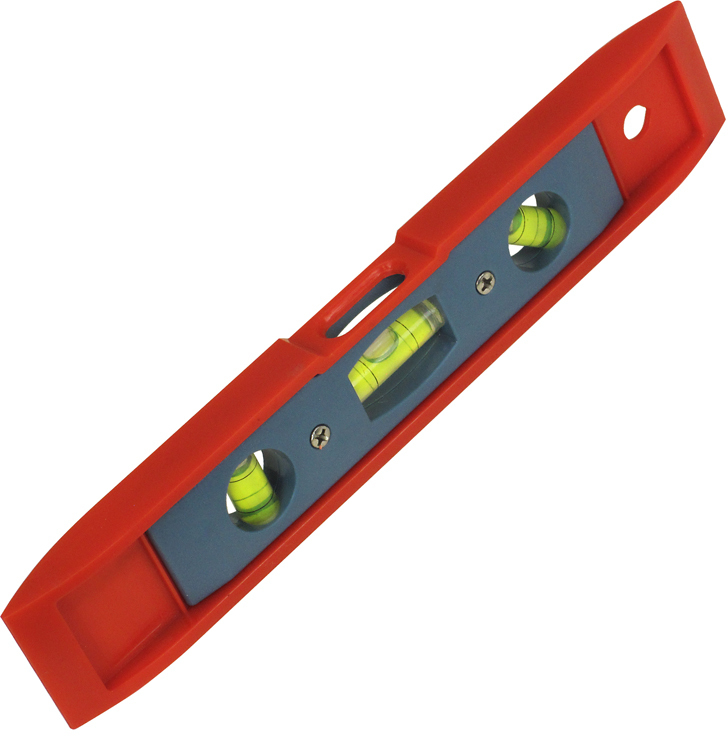 Tri-axis design enables easy level, plumb and 45� angle readings. 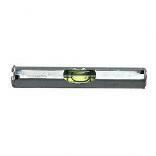 Convenient top-mounted window allows you to check the level vial's bubble from a second vantage point. 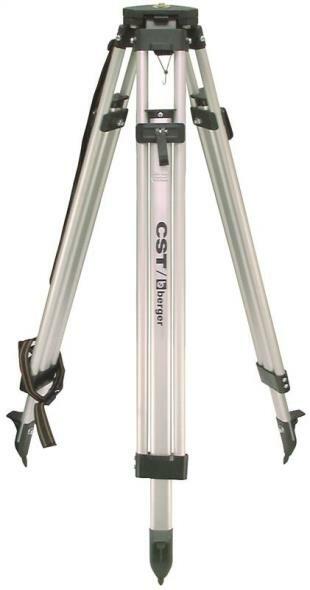 Heavy-duty aluminum frame ensures absolute structural integrity. 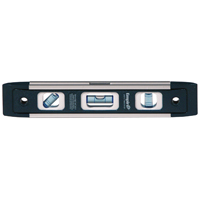 Level Type: Torpedo; Leveling Axis: 45�; Horizontal; Vertical; Body Material: Aluminum; Body Color/Finish: Gray/Black. 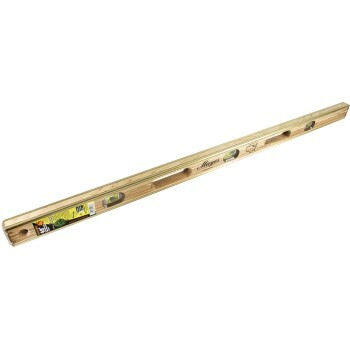 WOOD LEVEL Laminated hardwood with brass bound edges Contractor grade with 4 vials Bumper ends to protect level 10136 48 IN. 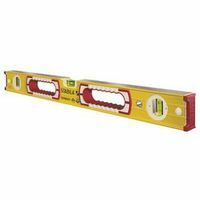 WOOD LEVEL SIZE:48"
TOP READ ALUMINUM LEVEL Durable, lightweight aluminum construction Top read center vial Yellow vial covers for high visibility End caps to prevent denting Hang hole for easy storage Hand holes for easy handling For all purpose use 42-076 48 IN. 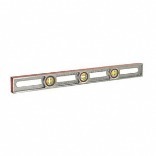 SILVER IBEAM LEVEL SIZE:48"